June 26th, 2013 – (Houston, TX). 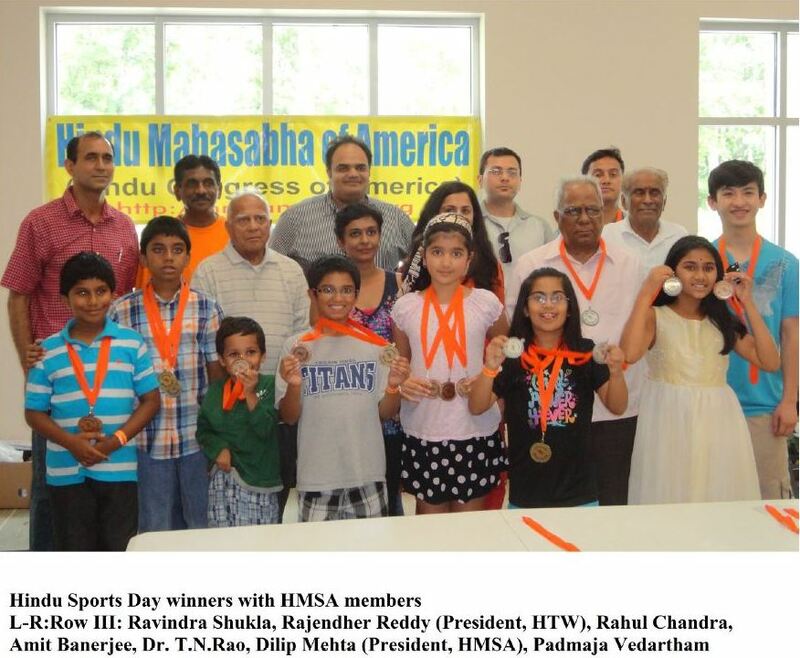 Hindu Mahasabha of America (HMSA) aka Hindu Congress of America Houston chapter conducted its third annual Hindu Sports Day (HSD) at Hindu Tem-ple of Woodland (HTW). The event was hosted and supported by Hindu Temple of Woodland. The idea was to engage Hindu youth in fun activities around the spiritual and moral guidance that is provid-ed by the temples. It was also aimed at providing youngsters with the chance to meet, interact and con-nect with others of similar cultural background. 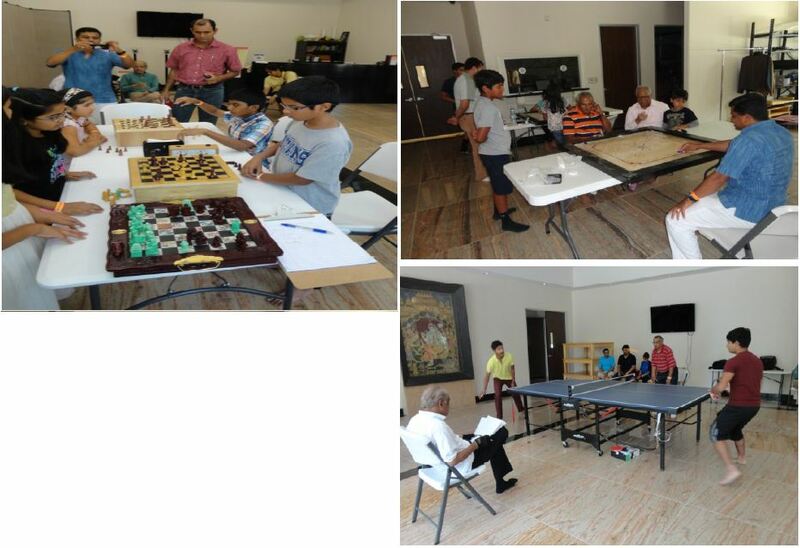 This year Hindu Sports Day had six games categories including Spell Bee, Carrom, Chess, Table Tennis, Arts. Dilip Mehta, President of HMSA along with Rajendher Reddy, President of Hindu Tem-ple of Woodland congratulated and awarded the medals. HMSA would like to thank Hindu Temple of Woodland for the excellent coordinating and assistance they provided for Hindu Sports Day. HTW management also acknowledged and appreciated the efforts HMSA is conducting toward Hindu unity, awareness and empowerment.